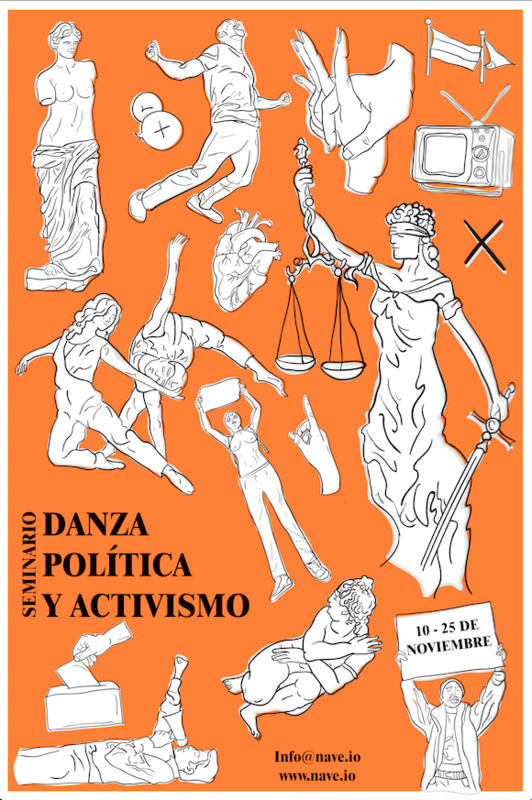 The Dance, Politics and Activism Workshop is a space for reflection that addresses from the artistic and theoretical practice the political role of the current Dance. In times of great social, economic, environmental and educational transformations it is vital to us to build discourses around the new place that this discipline occupies in its dialogue with other tasks and fields of action. We are interested in opening debates and knowing artistic processes that face these transformations. This seminar seeks to generate an impact on the role of dance as a social agitator, understanding its contribution to society as a living and relational agent, situating the body and its movement as a possible device for political action. To open these debates and learn about artistic processes that approach these topics, we invite artists, theorists and managers to address these problems for two weeks through case studies, research, staging, creative processes, practical laboratories, work tables and papers.